The current Brazilian government has confirmed that it will give the go-ahead to the Boeing – Embraer tie-up, but only after the forthcoming Presidential election in October, according to the country’s Defense Minister Joaquim Silva. The reason for the delay is to avoid stirring up debate amongst the presidential candidates. Former president Lula da Silva has been a strong protester against the deal, declaring that he would use the government’s power of veto to block the deal. While it is unlikely he will be able to run as a candidate in the October election, there is a strong possibility that his running mate may be lifted into the second round of voting on October 28. It was announced in July that Boeing was going to take an 80% stake in the commercial jets section of Embraer, investing US$3.8 billion in the US$4.75 billion joint venture. Embraer’s defense and business jet operations are not being included in the deal. The move by Boeing had been on the table for some time but was given greater priority after the Airbus – Bombardier deal over the then Bombardier CSeries of jets, putting that duopoly in the driving seat where the 70-130-seat segment of the market was concerned. 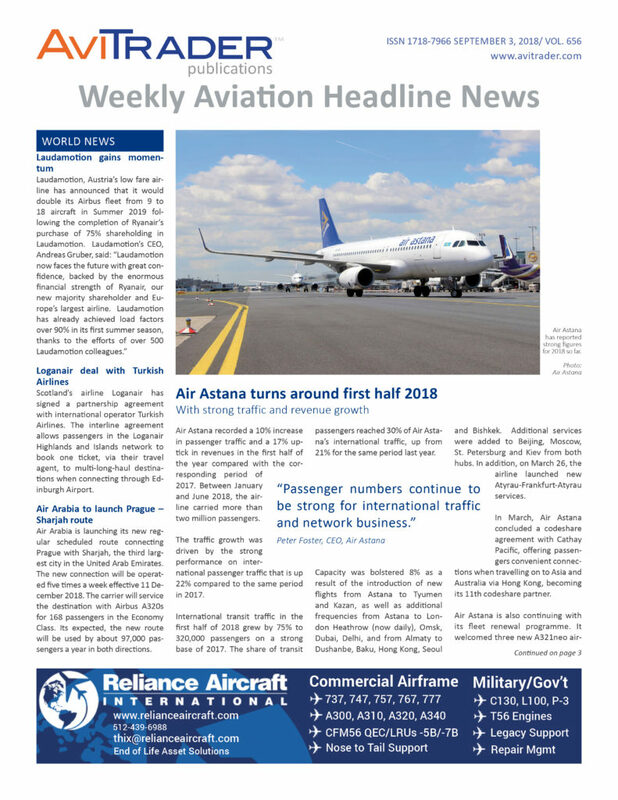 With the Boeing – Embraer tie up, analysts see these two mergers as the biggest realignment in the global aerospace industry for decades. With Boeing and Embraer may be on one side, Airbus and Bombardier on the other, these moves have strengthened Western plane manufacturers against new entrants to the market, such as China. Jon Sharp will retire at the end of this year from his long-serving position as Engine Lease Finance’s President and CEO. Sharp founded the Company in 1989, pioneering the spare engine operating lease industry. After 28 years of continuous evolution and growth, the Company now offers the complete range of engine leasing services from long-term operating leases through to short term AOG support and the provision of engine parts through its investment in INAV, the Chicago based parts provider. ELF owns and manages some 300 engines valued at over US$2.7bn with a current customer base of over 80 customers in 43 countries. ELF’s Chief Operating Officer, Tom Barrett, will succeed Sharp as President and CEO. Barrett, who qualified as a Chartered Accountant with KPMG in 1989, has been with ELF since 1990 and in that time has worked closely alongside Sharp in developing the company to its current position of market pre-eminence. In addition to this appointment, ELF’s Chief Commercial Officer, Joe O’Brien, will become Deputy CEO in addition to his current role as CCO; O’Brien has had 22 years involvement with ELF. Jon Sharp will continue as a part-time consultant to ELF after his retirement and will continue to share his industry experience by writing press articles and by speaking at conferences. Singapore Technologies Engineering (ST Engineering) has announced that its Aerospace sector has signed an agreement to provide CFM56-7B engine maintenance, repair and overhaul (MRO) services for the Boeing 737NGs belonging to Jet Airways and its subsidiary, JetLite. This agreement is an add-on to an earlier contract announced on June 18, 2015 which initially covers only a portion of the airlines’ 737NG fleet. With the latest agreement, Jet Airways’ and JetLite’s entire fleet of 80 737NGs will be covered, upping the contract value from the initial US$350m (approximately S$478m) to a total of about US$700m (approximately S$957m). As part of the contract, ST Engineering will provide an integrated suite of engine MRO solutions, including off-wing engine maintenance support, on-wing services as well as technical support. These services will be provided over a period of 6 years starting from 2019 at ST Engineering’s engine MRO facilities located in Singapore and Xiamen, China. Jetaire has delivered six Invicta kits to Eastern Airlines. The first installation took place in December 2017, with the sixth aircraft completed in late spring. Eastern Airlines is a 121 air carrier that operates passenger services to multiple destinations worldwide. The company has a fleet of nine Boeing 767 aircraft. Jetaire’s Invicta system is a center tank flammability reduction and ignition mitigation method solution, currently FAA-certified for the B737, 737NG, B757 and B767 aircraft as well as the Airbus A320 family of aircraft. The system meets FAA requirements for 14CFR 25.981 and 121.117 compliance. Jetaire received a patent on the system in December 2017. WestJet has appointed Captain Jeffrey Martin to the position of Chief Operating Officer. Martin will join WestJet on September 24, 2018, subject to Canadian immigration approval. Reporting to Ed Sims, Martin will oversee more than 11,000 WestJetters in WestJet's Flight Operations (including the Operational Control Centre), Guest Experience (Contact Centre and Inflight), Airports, Technical (Maintenance) Operations, Continuous Improvement, and the business strategy and execution of WestJet Encore. Martin brings more than 28 years of commercial aviation and operational experience to WestJet. He comes from JetBlue, where he most recently served as Executive Vice-President of Operations, responsible for Technical Operations, System Operations, Safety, Security, Flight Operations, Training and Regulatory Compliance for the sixth largest airline in the U.S. Prior to that he spent 22 years at Southwest Airlines, where he began his commercial career as a pilot, and took on various leadership roles, eventually serving as Vice President of the Operations Coordination Centre. Nordic Aviation Capital (NAC) has entered into an agreement with BeauTech Power Systems (BeauTech) for the purchase of 25 Embraer E190 aircraft which BeauTech has arranged to purchase from Air Canada. The 25 aircraft have short lease back periods with Air Canada over the forthcoming 18 months. This transaction serves to further establish NAC’s position as one of the largest lessors in the regional jet and turboprop sector. With the downstream acquisition of certain of the aircraft following their lease return, this deal also strengthens BeauTech’s position as a premier regional jet engine lessor, with one of the largest portfolios of CF34 lease engines in the global market. BeauTech Power Systems leases regional and narrowbody commercial aircraft engines to airlines, OEMs and Maintenance Repair and Overhaul (MRO) service providers worldwide. Based in Dallas, Texas, BeauTech specializes in CF34 and CFM56 engines and its lease portfolio includes all CF34 engine model variants operated on the CRJ and E-Jet platforms. Swahili Aviation Aerospace has released that it is now an exclusive approved supplier/distributor of GE Aeroderavitive Gas Turbines & Cummins Diesel and Gas Engines, Filters/Filtration Systems to the African continent. The General Electric (GE) Gas Turbines the LM2500 & the LM6000 Engine Units, now operating in the continent. Swahili Aviation Aerospace is a state of Connecticut, USA-registered Company which represents Original Equipment Manufacturers (OEM) of airport Ground Support Equipment (GSE), and airport safety and security equipment. The company also distributes MRO after-market aircraft engine and airframe spare parts to Africa aswell as Fuel Filtration Systems. Swahili Aviation Aerospace supplies gas turbine fuel filtration systems of OEM manufactured: (Winslow/Nelson Filtration/Cummins Filtration-Fleetguard) filters to the African continent. Airways New Zealand and US-based The MITRE Corporation have signed a Memorandum of Understanding (MOU) to explore collaboration opportunities for improving aviation safety, capacity and efficiency throughout the Asia Pacific region. The strategic partnership, which was formalised on August 31, between Airways International CEO Sharon Cooke and Gregg Leone, MITRE Vice President and Director of the Center for Advanced Aviation System Development, sets the foundation for collaboration between the two organisations in the areas of aviation research and development, and addressing aviation challenges in the Asia Pacific region. MITRE is a U.S. not-for-profit research and development company whose mission is to advance the safety, security, and efficiency of aviation in the U.S. and worldwide in collaboration with the aviation community. MITRE has been supporting the U.S. Federal Aviation Administration (FAA) for over 55 years and operates the FAA’s only federally funded research and development center (FFRDC). Airways International CEO Sharon Cooke says the partnership enables Airways and MITRE to combine their expertise to support comprehensive aviation initiatives throughout Asia Pacific, and draw on the organisations’ shared capabilities to deliver advanced solutions. 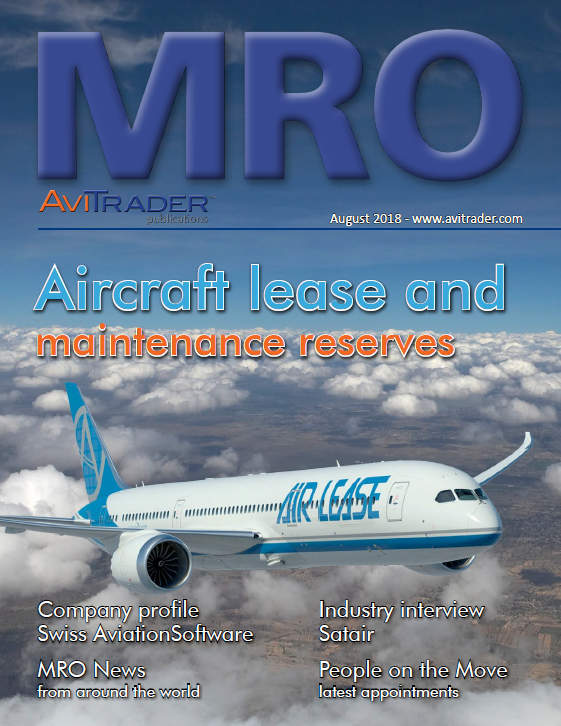 MITRE and Airways are already in discussions regarding two potential airspace projects which would benefit from their complementary capabilities and experiences in maximising runway capacity, and advanced airspace and procedure design. The strategic partnership agreement further strengthens the existing relationship between the two organisations. Recently, Aeropath, the Airways subsidiary which provides aeronautical information management and navigation services, supported MITRE in carrying out projects at Changi Airport in Singapore. Airways also previously collaborated with MITRE for 10 years on implementing a new air traffic management system for Taiwan Civil Aeronautics Administration.